Teaching a child to learn to read is priority number one at home and at school. 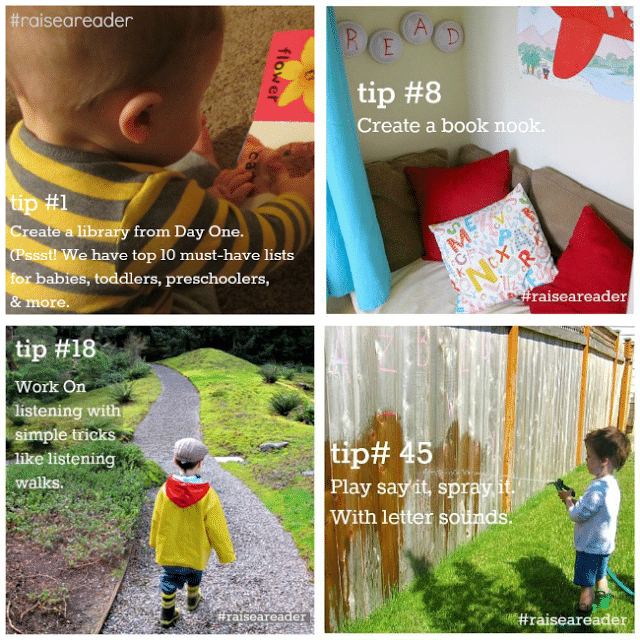 Are you creating a home environment that encourages your child to become a strong reader? There are so many skills developed so much earlier that when they read texts on their own. 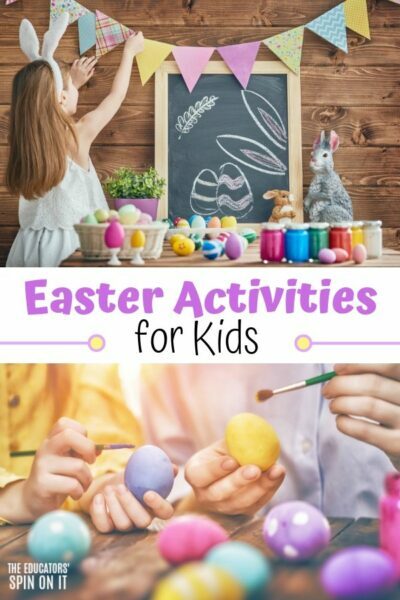 As a parent you look for activities that really count. 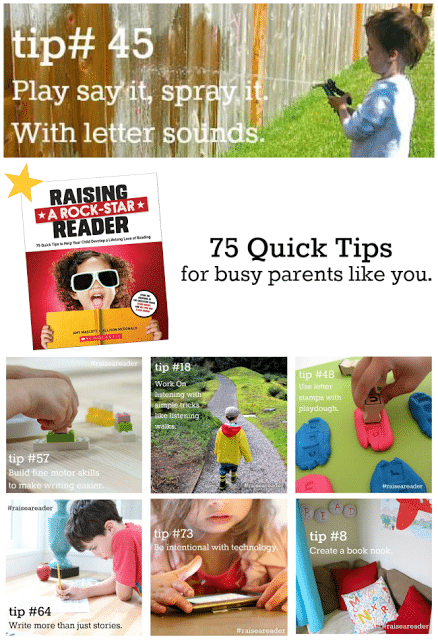 In the book Raising a Rock-Star Reader my talented friends and now authors Amy Mascott and Allison McDonald share 75 quick tips to help your child develop a lifelong love of reading. 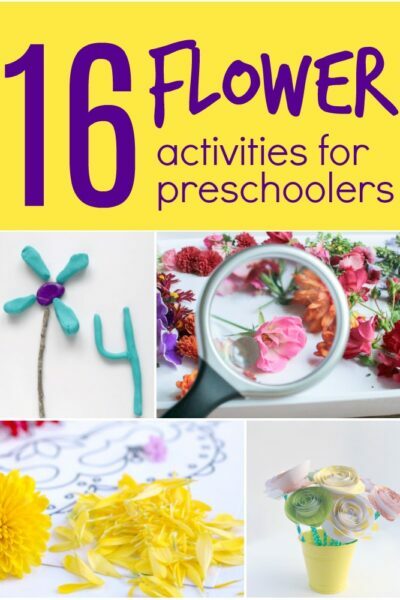 The best part is that these are the tips they’ve developed as teachers, parents and creative bloggers for many years just for you! Disclosure: I was sent a copy of the book by Scholastic and the authors in exchange for a review, all opinion are my own after knowing and admiring Amy and Allison’s work for many years. Chapter 5: Lean. Those. Letters! Chapter 7: Look Who’s Learning to Read! Chapter 9: Reading and Talking and Thinking-Oh, My! This is the book that you want if you’re looking for ways to help your child learn to read at home. 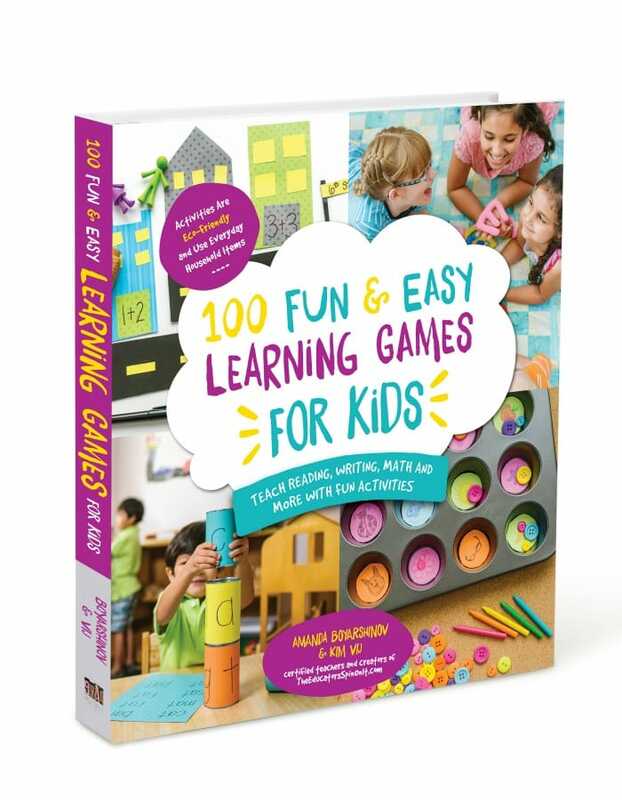 With 75 Tips that are practical, hands-on, simple and build on the foundations of reading for success. Pick one a day and off you go depending on your child’s mood for the day. Reading through the book I found so many great tips as a teacher that I have encouraged my parents over the years to use at home with their children. Plus I found quite a few more aha moments that encouraged me as a parent to do with my own daughters at home. Raising kids that varied years apart sometimes I need to be reminded of what works at home to build that reading foundation. Plus how sometime what worked for one child doesn’t always work for the other so you have have a bag of tricks up your sleeve ready for the moment. 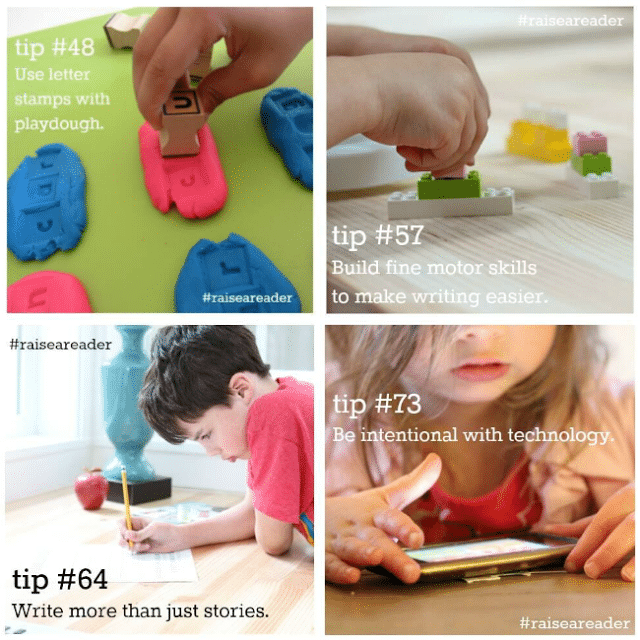 Here are my favorite 8 Tips for Raising a Rock-Star Reader from the book. I shared only 8 tips from the book but to be honest Amy and Allison share more than their claimed 75 tips in the book. 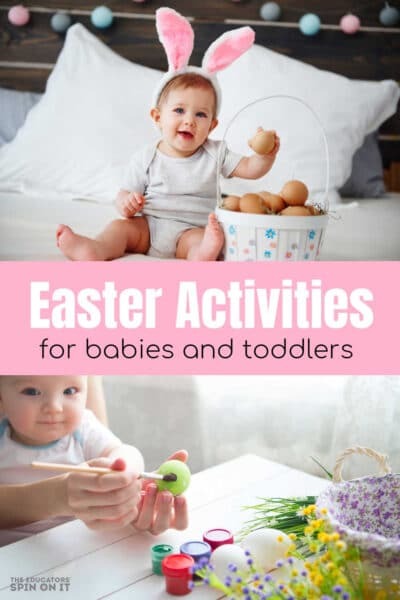 One of very favorite are the first few tips that are recommended book lists for Babies, Toddlers, Preschoolers, Kindergartners and Early Chapter Books. GOLD MINE! Grab your copy today and maybe even one to share with a friend as we take our children on this reading journey together. And to my Teacher Friends, this is the book you recommend to parents when they ask where to start. 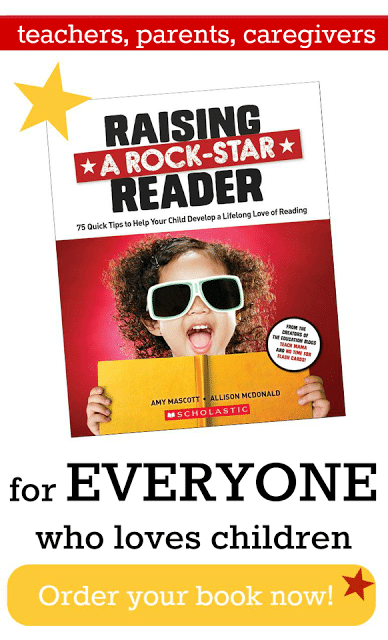 Raising a Rock-Star Reader is a must have reading book! 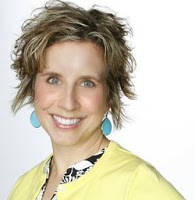 Amy Mascott is the creator of teachmama.com, where, since 2008, she shares tools and resources parents can use to become the best teachers they can be for their children. 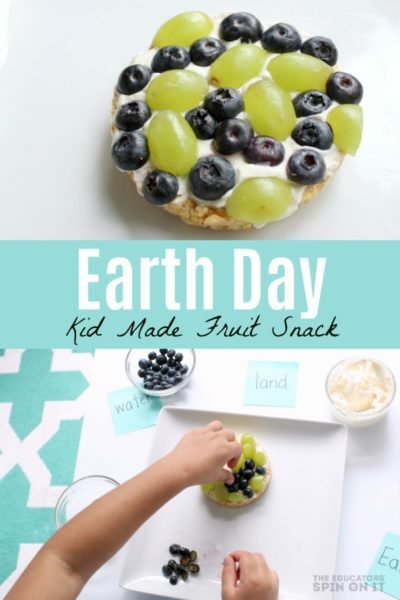 With 1200+ posts and 400+ free downloadable resources, teachmama.com reaches over 5 million viewers each month due to a wide reach across Pinterest, Twitter, Instagram, and Facebook. 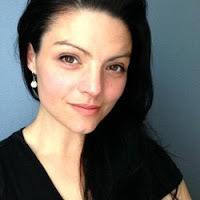 Recognizing the power of collaboration in the education and parenting space, Amy built the community ‘we teach’, a network of parents and teachers who connect online and offline, share ideas, and grow as educators–no matter the classroom. For three years, ‘we teach’ was a thriving online community of 6600+ members, which has since found a new home on the teachmama.com facebook page and teachmama.com: parent teacher connect group. 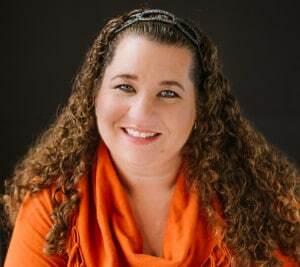 A Reading Specialist, writer, speaker, and influencer, Amy’s reflections on literacy, parenting, and social media have been featured on dozens of online and print publications, including Scholastic Parents, PBS Parents, readwritethink.org, PBS Digital Studios, and more. She co-anchors the Scholastic Parents Raise A Reader blog with her pal Allie McDonald of No Time for Flashcards, and together they have a book being published by Scholastic in 2016. Amy is mom to a crazy-cool 11, 9, and 8-year-old and is just as active offline as she is online. She hails from the Keystone State but lives in the DC Metro area where she’s either cheering for her kids on the soccer field, biting her nails during swim & dive meets, or buzzing around her kids’ elementary school, doing the Room Parent thing. Allison McDonald B.A, B.Ed is a preschool teacher, graduate student, writer, wife, and mom. She founded her early education blog No Time For Flash Cards in 2008 when she jumped out of the classroom to be a stay at home mom. She started writing about early education because she missed teaching and wanted to share her knowledge with other parents. 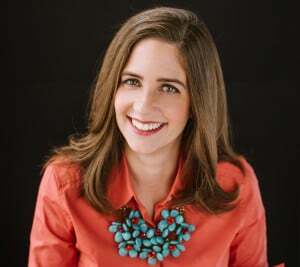 In addition to her own blog, she also writes regularly for Scholastic Parents on their Raise A Reader blog and for PBS Parents’ Adventures in Learning blog. Helping parents help their children learn is one of her true passions. Her other true passion is running and she recently completed her first marathon, not her last. This fall she is returning to the classroom as a graduate student, studying early education and child development at Missouri State University. There is always more to learn. She lives in a yellow farmhouse on an island outside of Seattle with her family. What are Amy’s and Allison’s Favorite Tips from the book? 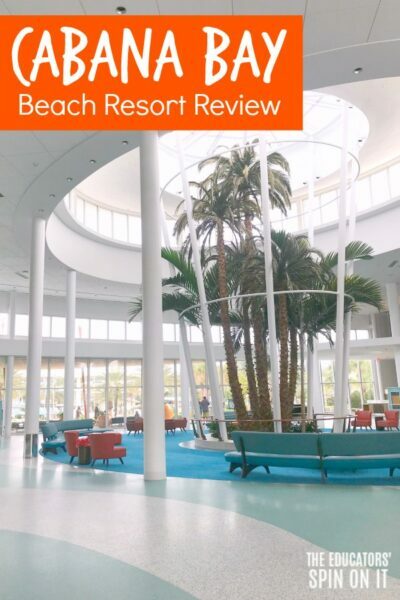 Take a moment and connect with Allison and Amy in their video where they share their favorite tips from the book. One of the advantages of traveling to speak at conferences about Pinterest is the amazing and talented bloggers and businesses owners I get to meet in person. Just this fall I had a chance to meet Allison in person at the Type A Conference in Atlanta. She and I did a video a few summers ago for Summer Tips for Kids Using Pinterest . Amy and I connected a few years ago as a community manager for we teach community and then met in person last summer in DC on our #VijFamilyRoadTrip to Canada. She and I did a video a few springs ago for Read Across America Every Day of the Year. Plus over the past many years we’ve all contributed together to Melissa and Doug’s blog. So excited for this book release of Raising a Rockstar Reader by the talented @allienoflashcards and @teachmama1 on November 10. #RaiseaReader Can’t believe I had a chance to meet Allie in person this weekend at #typeacon CONGRATS! #reading #kids #learntoread #book #author Be sure to pre-order your copy on Amazon! I tell you all of this so that you know I truly believe in both of this individuals and the amazing tips that they share on their websites and now in this treasure of a book. It’s not very often you have the chance to sneak into the thoughts of busy moms, bloggers and teachers share so much content packed into an easy to read book. I truly look forward to sharing about this book with my friends as we talk shop on the playground bench or at Mom’s Night Out. If you’re not already be sure to follow Amy at teach mama and Allison at No Time for Flashcards and together at Scholastic at Raise a Reader.